It is not unusual for educators today, whether in the early childhood, primary or secondary sectors, to be confronted with severely challenging student behaviour - students who fly into unexplained violent and oppositional outbursts with little warning; who respond poorly to tried-and-true behaviour management processes. Such behaviour has considerable impact on the delivery of teaching and learning programs and the emotional wellbeing of the teachers themselves as well as raising safety risks for the entire school community. 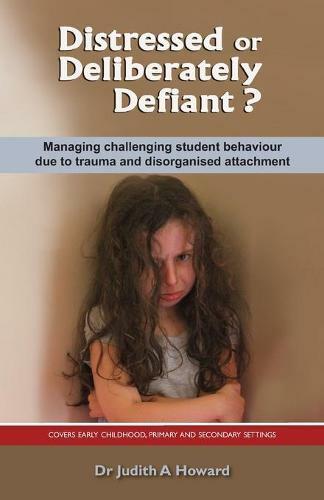 This book explains the basis for such behaviour as the neurological, physiological and behavioural outcomes of disorganised attachment due to prolonged exposure to a traumatic home life and provides practical advice to educators on ways that schools can effectively manage these students. By examining the science behind attachment theory, the neurobiology of behaviour, and the manifestation of disorganised attachment in the school context, this book will help educators: minimise such challenging behaviour, manage crises and disciplinary responses such as suspension and expulsion, improve student compliance, enhance education and overall wellbeing, and deal with parents. Covers early childhood, primary and secondary settings.